I always combine these two memes because they are very similar. Say it Forward was started by Five Minutes For Mom and is a carnival recognizing top commenters. 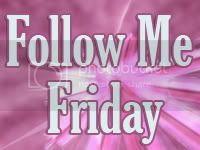 Follow Me Friday recognizes followers. I believe that followers or subscribers and comments are equally important so I will feature both. Today I am featuring Leslie from Leslie Loves Veggies. Leslie states on her profile that she loves, “Jesus, My Family, and being a Vegetarian!” On her blog she shares delicious vegetarian recipes, product reviews and giveaways. If you are looking for a great way to improve your diet or find more information on healthy foods and giveaways you should add Leslie Loves Veggies to your daily reader. Make sure you give her a visit and congratulate her for being a loyal commenter here at Healthy Moms. Leslie don’t forget to grab your badge over at Five Minutes For Mom. We love getting new followers. Every week this blog gets about 5-10 new followers. Hopefully this will grow even more. 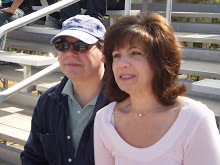 This week I will say a little bit about one of our valuable followers. She blogs at Katrina V where she writes about blog parties, giveaways, and product reviews. Thank you Katrina for following Healthy Moms! Don’t forget to visit her and tell her she is featured here at Healthy Moms. Thanks for the introductions 🙂 I will visit their blogs.